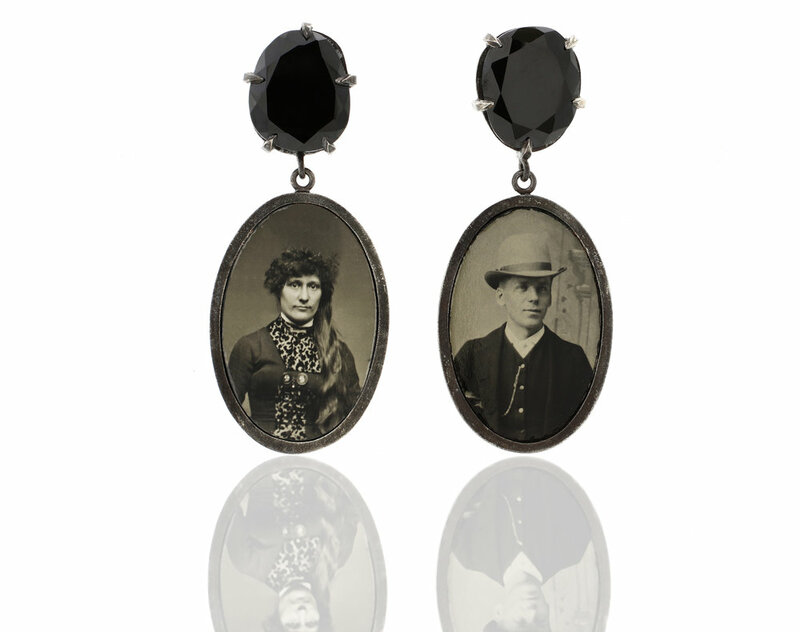 sterling silver, tintype photograph, pearls, spinel, steel, silk. 2.08ct oval brilliant cut center diamond (VS2, D), 2.5mm full cut round diamonds (VS, F+), 3mm princess cut diamonds (VS, F+), platinum. 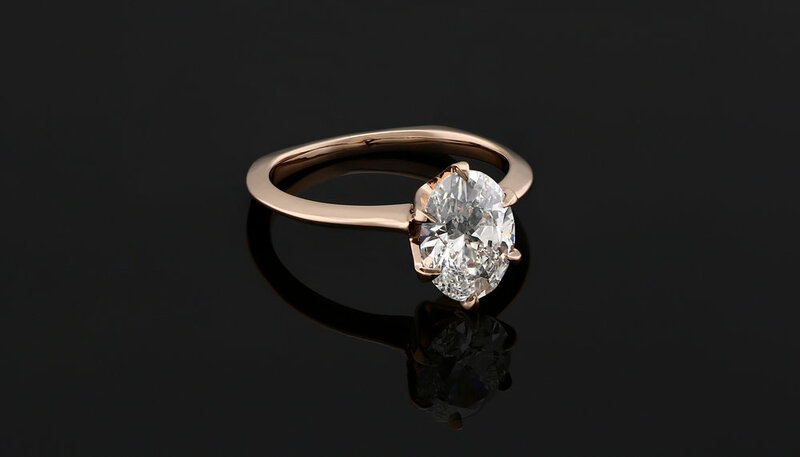 18k rose gold, GIA 1.53ct oval brilliant diamond, VS, D color. 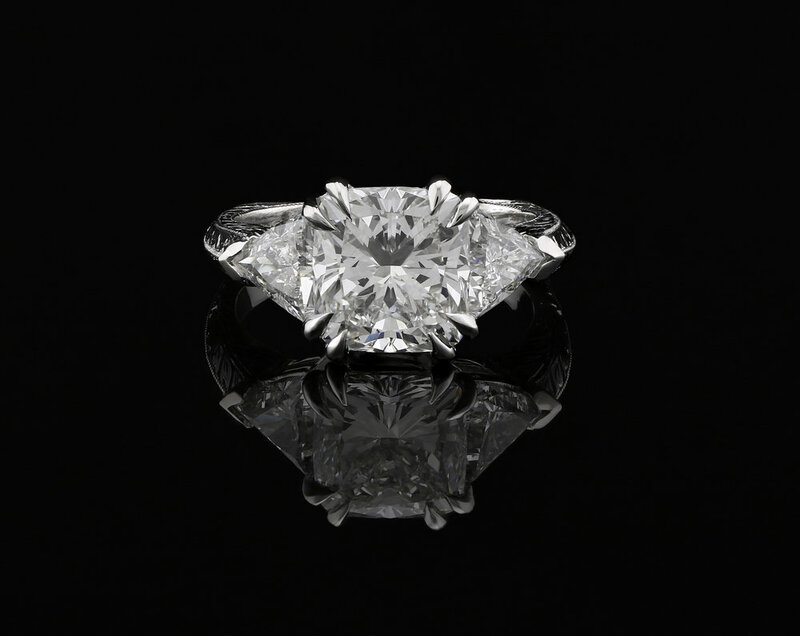 3.01ct GIA Dream Cushion center diamond (VS1, H), 1.36tcw trillion cut diamonds (VS2, F), platinum. 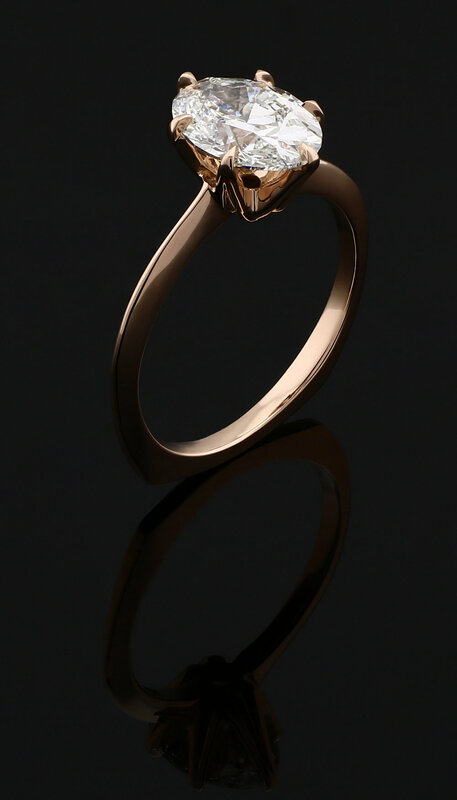 .97ct rose cut diamond, 18k gold. 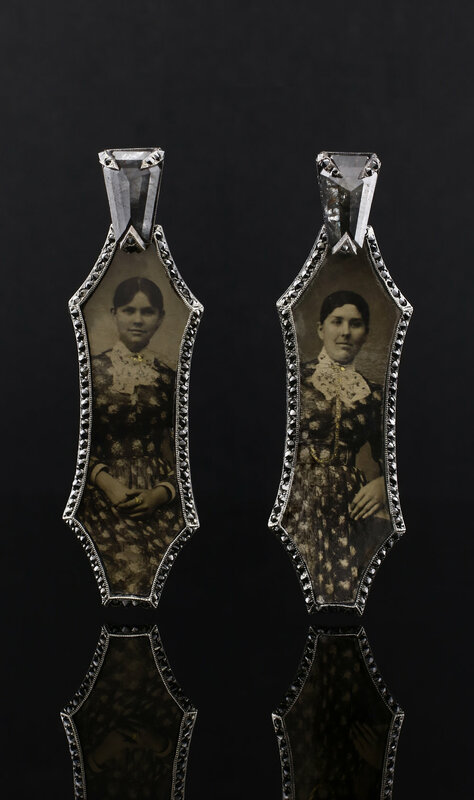 sterling silver, tintype photograph, spinel. 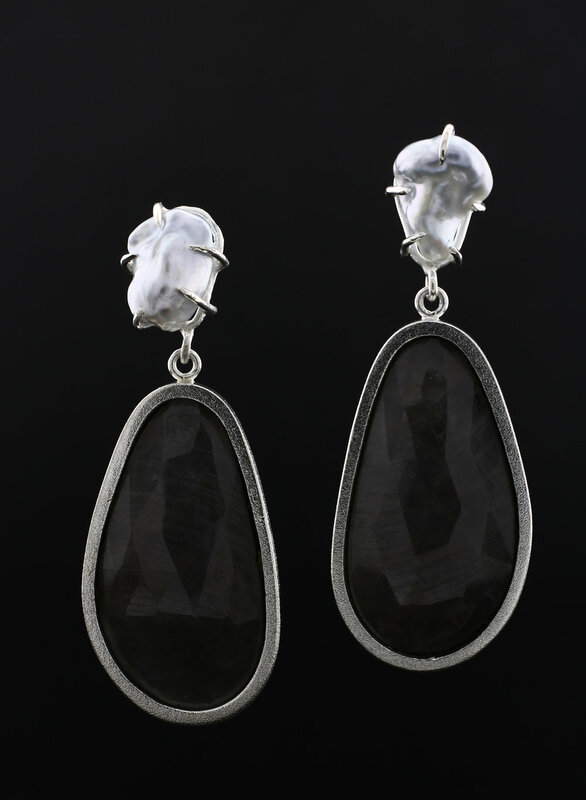 sterling silver, tintype photograph, fresh water pearls, spinel, steel, silk. platinum sterling Silver (5%), rose cut sapphire (34cts), Mississippi River pearls. 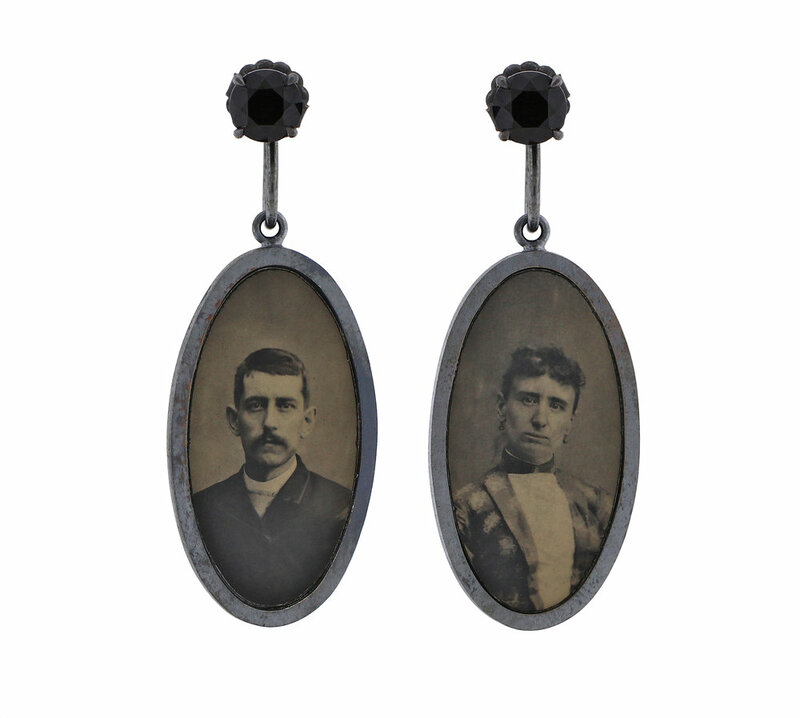 sterling silver, tintype photograph, mississippi river pearls. rose cut sapphire, raw montana sapphire, tin, steel, sterling sliver. rose cut sapphire, raw montana sapphire, pearls, tin, steel, sterling sliver. (back) copper, tin, topaz, pearls, sterling silver. (front) copper, tin, topaz, pearls, sterling silver. 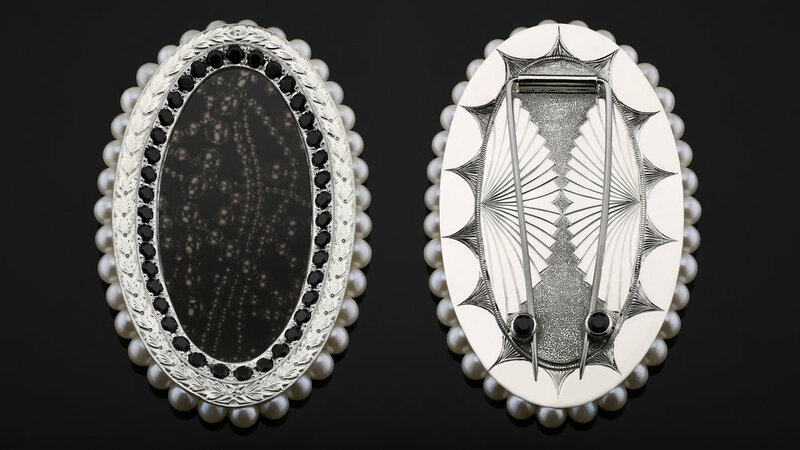 sterling silver, jelutong, image transfer, pearls, satin, found objects, thread. 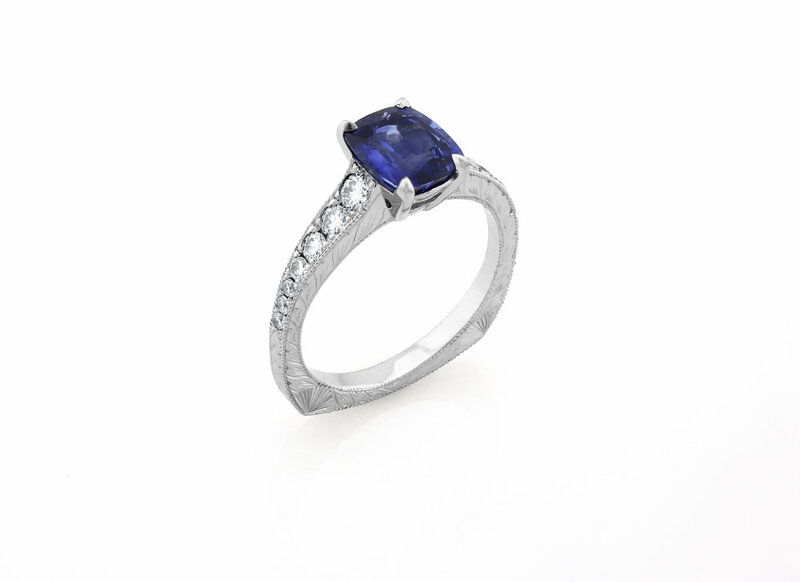 raw montana sapphire, sterling silver. silver, brass, ribbon, found objects, thread.